I have a backlog of items to dump into the bibliography. Forests of printouts languish, unindexed. By the time I return to them, I'll have forgotten why I printed them out in the first place. Titles like: Common Ground: An Anthology, The Poem in Question, and Poetry of the Second World War: An International Anthology (all of which reprint "Naming of Parts"); American Women Photographers: A Selected and Annotated Bibliography (lists Rollie McKenna's portrait of Reed); King Edward's School, Birmingham: 1552-1952; John Lehmann: A Tribute; and Twentieth Century Italian Literature in English Translation: An Annotated Bibliography, 1929-1997. In the end I have decided to include the work of fixty-six translators, but I might have included that of dozens more. The one real regret I have, though, is the absence from this anthology of several translations  Henry Reed's rendering of the great Mottetti, for instance  which repose unprintably in archives. Thomas is referring to Reed translating into English a series of love song-poems (motets), by the Italian poet Eugenio Montale who, in 1975, was awarded the Nobel Prize for Literature. 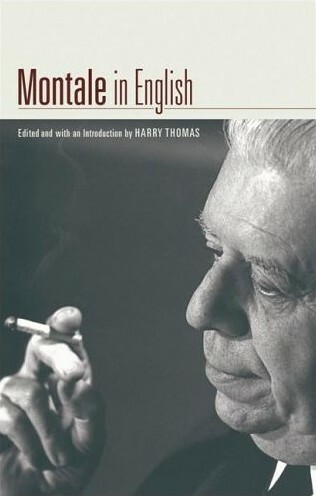 In his Introduction to the Collected Poems, Stallworthy mentions Reed having "drafted and all but finished polishing" his translation of Montale's Mottetti, but the work never reached publication, and must still be among his papers and notebooks at the University of Birmingham.